Facebook has unveiled Graph Search, a new socially-driven personalised search engine that will form an integral part of the social network. Replacing the previous Facebook search feature, Graph Search will use information about your Facebook friends from Facebook’s Social Graph. 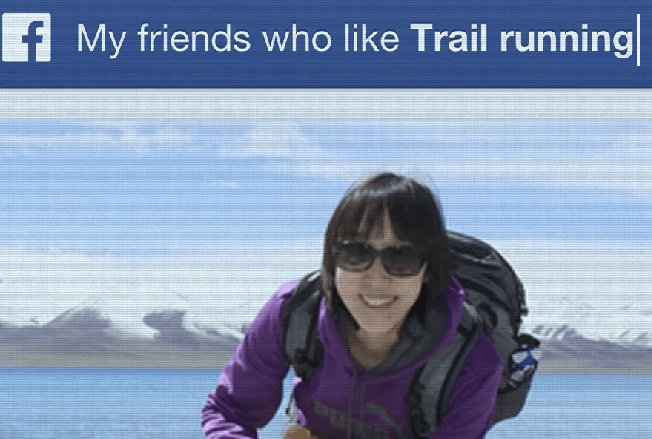 There’s more information about Facebook’s Graph Search on the official page, along with an opportunity to request a trial. At the moment the trial is only available to a limited number of users in the United States, but anybody can register. Below are four of the key facts about Facebook Graph Search and an analysis of their implications for marketing campaigns. 1. Graph Search is *not* a search engine. Graph Search looks for people, not websites, so it’s not a direct threat to Google. It doesn’t search the web, or index pages, it just let’s users search their friends – or friends of their friends – based on their interests, photos and places. In the future, more searchable entities are likely to be added, probably starting with events. It also seems likely that Facebook Like activity on other websites will become an important Graph Search factor. For example, you could use Graph Search to find “friends who like Google” – as in people who clicked “Like” on Google’s Facebook page. If a friend or other Facebook-compatible result cannot be found, Facebook will just deliver search results from Bing – Microsoft’s search engine and Google’s main rival in the search market. If Graph Search proves popular that would be good news for Microsoft and bad news for Bing. 2. There are no ads. Yet. At the moment Facebook claims that Graph Search results will not feature advertisements. But the new search functionality may lead advertisers to apply pressure to enable sponsored discovery. It may also encourage brands to seek more Facebook Likes. 3. It only includes data from Facebook usage. If somebody doesn’t use Facebook then their data cannot be used in Graph Search at all. If a user doesn’t use Facebook very often then their data will not be very useful for Graph Search. Obviously Facebook cannot detect relationships out in the real world and nor can it access social graph data from other networks like Twitter, Pinterest, or Google+ either. That means the search feature only offers a very limited and Facebook-centric view of the world, centred around your individual network of Facebook friends. If you don’t have many friends, that will severely limit the power of Graph Search for you. Facebook usage is falling and that’s a real problem for Graph Search. Indeed, the feature is surely another attempt to encourage people to spend more time on Facebook and to do more there. (In the same way, Google is trying to use Google+ to drive increased engagement with its search engine, to safeguard revenue from Google Adwords). 4. There’s a big privacy problem. Facebook claims that Graph Search is ‘privacy aware’. But depending on your privacy settings, your profile may display details of every Facebook search you ever made (I bet you didn’t know that!) So if you’ve ever checked up on a former sweetheart – or searched for a new one – it’s right there on your profile for everybody to see. If you previously Liked something embarrassing or stupid, but have since changed your mind, then people using Graph Search will think you still like it – unless you went back and Unliked it. Be warned. Potentially, future iterations of Graph Search could enable marketers to identify customers in a very targeted way. Graph Search is an easy way to search for people who meet certain criteria and as it evolves the potential for it to be used by marketers is likely to increase. Very interesting move by Facebook. I’m sure that when it won’t take long to see Ads among the search results once the new feature is made available to everyone.